Eagle Mountain Leather - Make. Bake. Grow. 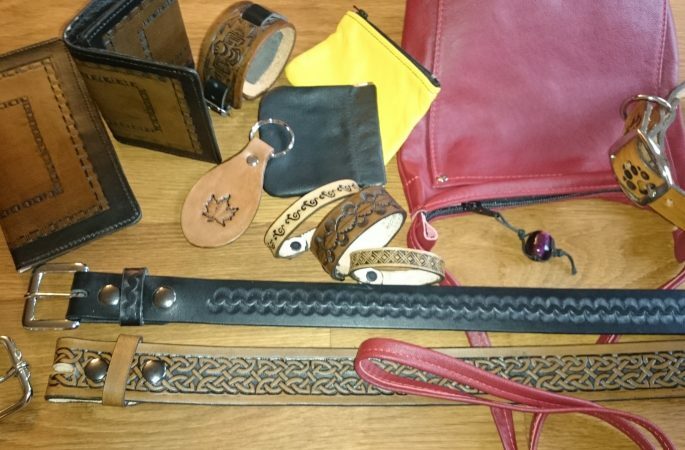 About Us: Albert and Marjorie of Eagle Mountain Leather have sold hand crafted belts, wallets and a variety of smaller items at craft shows, fairs and now farmers markets for over 20 years. For their belts, which is the main item, they only buy the best available veg.tan (tannin) cowhide from Italy and Belgium. Products also include guitar straps, all made in Mission, BC.